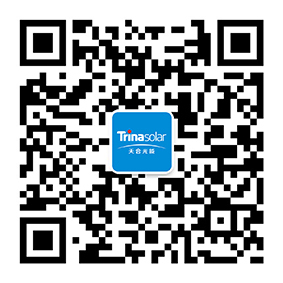 Trina Solar Limited, a leading total solutions provider for solar energy, has received a top rating in the latest annual module bankability report, published by Bloomberg NEF (BNEF). With this latest report, Trina Solar is now the only module manufacturer to be rated as fully bankable three times in a row by 100% of industry experts participating in the BNEF survey. When assessing the bankability of a PV manufacturer, banks focus on the financial health of the company; the track-record of its modules in the field; and the manufacturer’s warranties, according to survey participants. For its survey, Bloomberg NEF reached out to banks, funds, EPCs, independent power providers (IPPs) and technical advisors worldwide. These experts represent an installed PV capacity of 29GW globally. BNEF also conducted a series of in-depth interviews with quality inspectors and technical advisors, complementing the survey. The latest BNEF report also quotes the PV Module Reliability Scorecard, published by DNV GL, where Trina Solar has emerged as “Top Performer” among global module manufacturers for the fourth time since 2014. The scorecard is the most comprehensive comparison of PV module reliability test results publicly available on the market today. According to DNV GL, participating manufacturers are seeking third-party endorsement for their high-quality mindset.